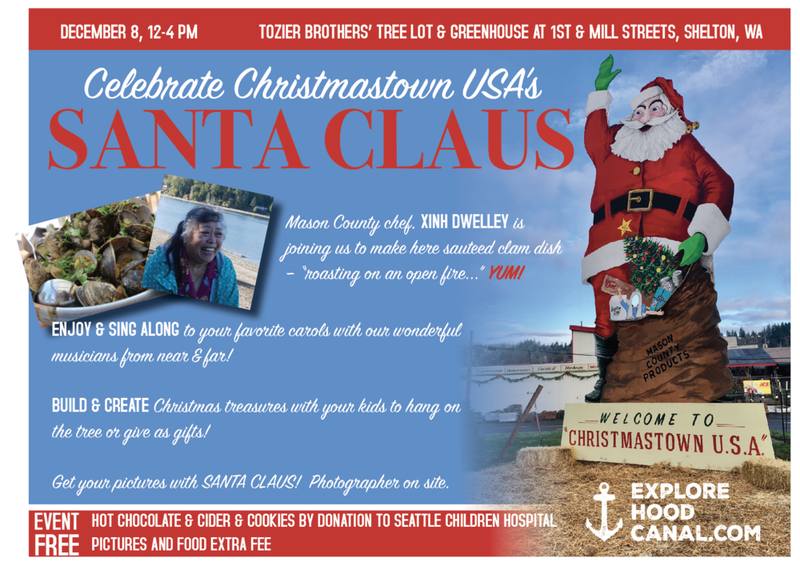 Explore Hood Canal and Tozier Bros invite you celebrate the return of the Beauchamp Santa Claus in Shelton! Before the Holiday Magic Parade (5:00 PM), join us for a free celebration including live music, photos with Santa, and Xinh Dwelley's delicious "clams roasting on an open fire..."
Pick up your tree, enjoy a delectable dish or a hot chocolate... bring the kids for pictures and we'll even have some cool Christmas crafts to keep them busy! It's a Christmastown USA celebration!